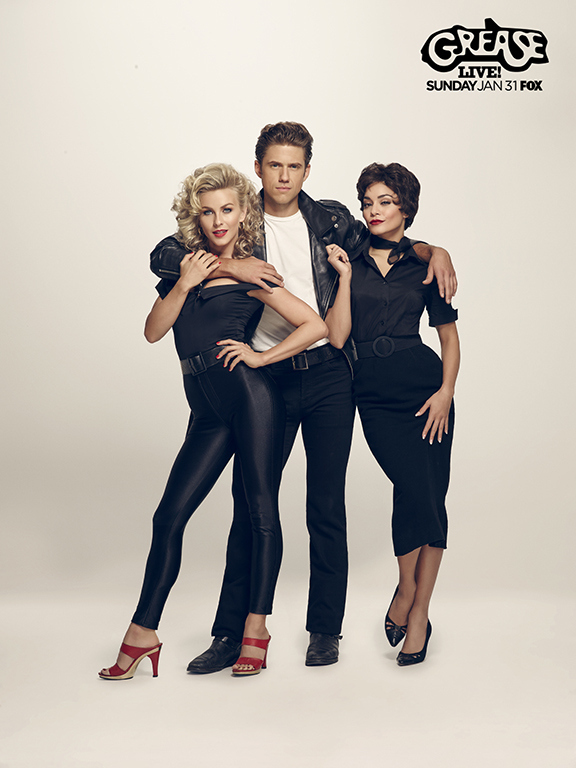 ‘Grease: Live‘ has been in the works for a while and I, for one, have been incredibly skeptical as to how a live TV performance can hold a candle to the movie I can quote in my sleep and hold on a pedestal of awesome. Remembering the live version of ‘Peter Pan’ with Christopher Walken and just how incredibly un-wowed (I think that’s a word! ), I was. Then it hit me, I’m trying to compare the performances movie = movie instead of looking at it how I should have, as a filmed theatre performance. So now, after seeing the first pics released from the show, I might be able to appreciate this in a whole new light. After enjoying a holiday romance, high school students Danny and Sandy are unexpectedly reunited when she transfers to Rydell High, where she must contend with cynical Rizzo and the Pink Ladies. Same story, but new stars. 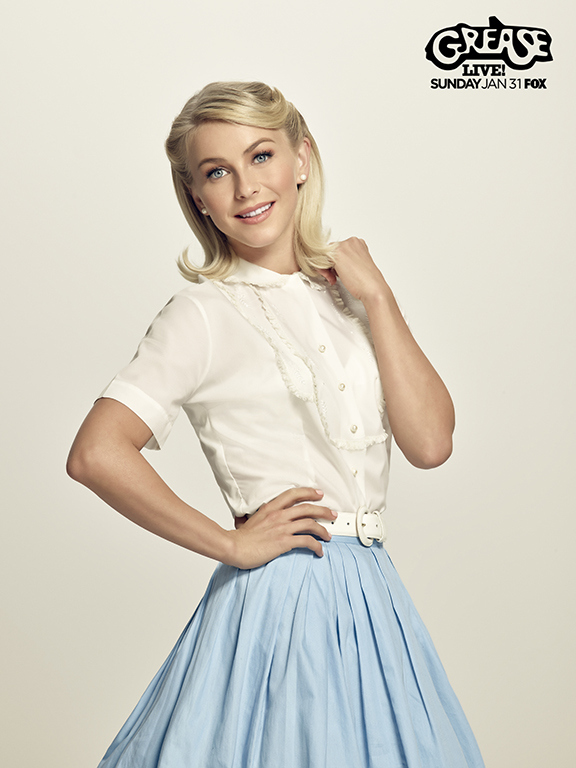 Julianne Hough is the virginal Sandy, Aaron Tveit is the teenage stud, Danny Zuko, Vanessa Hudgens is the flirty “bad-girl” Rizzo (Disney gone bad, y’all! ), fill in the cast with Carly Rae Jepsen, Nick Jonas, Keke Palmer, Mario Lopez and -fingers crossed- Martin Short. Let your peepers check out the set pics in costume and see what you think and tune in January 31, 2016! This entry was posted on Tuesday, November 24th, 2015 at 12:32 pm	and is filed under Events, Film, News, Television. You can follow any responses to this entry through the RSS 2.0 feed. You can skip to the end and leave a response. Pinging is currently not allowed. « Podcast #60 – Thanksgiving Movies, Netflix and Chill!